Is there any other way other than the military option to regain the lost influential position in this conflict? As Donald Trump mulls over the multiple options regarding withdrawal of the US troops from Syria after what he believed the singular objective of defeating ISIL has been achieved, a new troika comprising of Russia, Turkey and Iran is increasingly gaining strength in order to fill the void left by the US and its western allies. Such claim of premature victory invites some critical questions regarding the US’ capability and intention to shape the future of Syria by containing the interests of each country forming this troika namely Russia, Iran and Turkey. To be sure, the interests of each member constituting this Troika are simultaneously divergent but they also converge at the critical junctures of Syrian territorial integrity. 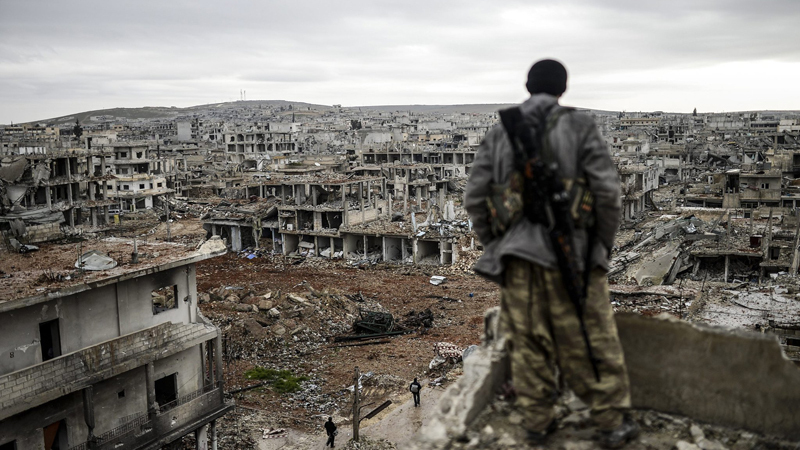 While Iran and Russia back the Bashar-Al Assad regime, Turkey has been staunch opponent and critic of Assad since the outbreak of the Syrian war in 2011. Nevertheless, by effect of the sharing of the central converging point of Syria’s territorial integrity, the troika countries have managed rather successfully to keep the dialogue channels open and make ceaseless efforts for the realisation of de-escalation zones in parts of Syria. In such sophisticated play of divergence and convergence, the Astana Talks provided an opportunity for all the three countries to not only curtail the widening of differences and escalation of conflicts on the Syrian battle ground but also provide a frame work and hope for a geographically contiguous Syria. In this context, the central question is how the US and its allies would react to these developments wherein the Troika is increasingly replacing them? What are the potential trajectories of the response of the US and allies? Above all, is there any other way except the military option to regain the lost influential position in this conflict? Since the very beginning of this Syrian conflict, the US along with its allies has exhausted virtually all options except a full fledge ground invasion with their own armies. The central objective of this unfolding development has been regime change since the outset. First, with a sophisticated operation of public relations a dissent was manufactured. Subsequently, they arm the so called Syrian opposition with state of the art weapons and capabilities to counter the Syrian regime forces. However, their central investment was on People’s Protection Units (YPG), mainly-Kurdish militia in Syria. The master plan was to carve out a chunk of territory from parts of Syria and Iraq inhibited by Kurdish ethnicity and subsequently forge a state for Kurds in order to ensure the Zionist regime-Israel’s security. As the events unfolded, the plan for Syria started to crumble due to multiple factors. One of the most important factors was the waning influence of the US in different regions of the world. Such opportunity was pounced by the Russia along with Iran. Turkey, which initially put its weight behind this plan, later came to realise the folly and danger involved in such a course of action. The fear that haunted Turkey was, if a geographical contiguous Kurdish homeland is to be carved out of the territory of Iraq and Syria, then where is the guarantee that Turkish Kurds will not seek to join their brothers in their own Kurdish homeland. Such reality-check and subsequent long term empirical implications of the situation proved to be the Turkish nightmare as the US started to arm and train the different Kurdish militias on the borders of Turkey. Iran is sensitive about the historical religious shrines in Syria along with a considerable size of the Shia minority in Syria. The Russian Federation is concerned about the rising tide of the radicalism and international terrorism in the Islamic world. Its primary concern is the non-state actors and their acts of sabotage in case where the traditional entities of state fail. Since sizeable states of Muslim population reside along the immediate borders of Russia, its concerns regarding the rising tide of international terrorism cannot be overstated. Therefore, these divergent interests of the Troika lead us toward their singular converging point that Syria must come out from this civil war as a sovereign state with her intact historical borders. Now the important question is: is there any possibility for the US and allies to dismantle this historic geographic integrity of the Syria without directly demonstrating their military might? The answer to this question involves the current state of the events in which the US has almost declared a war on Syria via Twitter. Following the reported incident of the chemical attacks in Syria which have not been corroborated by any independent investigative body as of now, in their usual conduct of affairs, the US has put Syrian regime and its international backers on hold for their missiles which are “new” and “smart” to quote Trump. Russia and Syrian government vehemently deny such an incident ever took place and have invited the Organisation for the Prohibition of Chemical Weapons to investigate allegations of a chemical attack in the eastern Ghouta town of Douma. This series of the events give us a clue to our question which states that the current situation in Syria has reached the boiling point wherein the actors have been exhausted by the attrition they have inflicted upon one another over the years. The conclusion of the situation is not far away. In such circumstances, an exercise of the military might from the different players is imminent which does not exclude nuclear sabre rattling. Leaving aside the nature, caliber, and canvass of the conflict, a low level of the mutual-demonstration of the military might warrants in order to secure the relative gains of the engaging players.